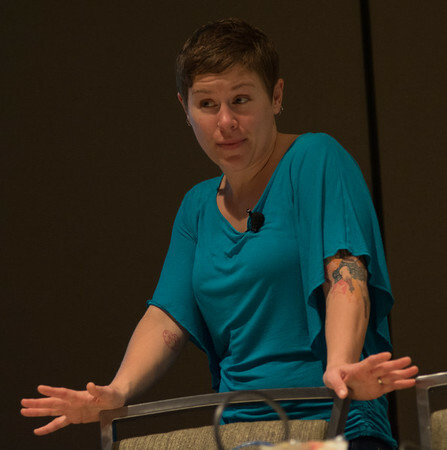 I had a great time at the PASS Summit this year. I am planning some additional follow up posts but I know that many of you have been waiting patiently to Re-Live the summit through pictures. As always my pictures are free to share and use. As long as you give me credit for the photo when you use it in blog/profile/wherever you use it. I really appreciate when people ask to use a photo mostly because it’s great to know where they are in use but I’m happy to at least get credit for it. I do this because I love taking pictures and I love to help my #sqlfamily. Here is where you can find the photographs. As mentioned above I will be making comments and telling stories in the future with some of these for now I wanted to get them out to all of you. I will showcase one of my favorite shots from the event. As I write this I’m packed and ready to fly out for Portland Sunday. You didn’t read that wrong and I’m not flying into the wrong city. I tend to fly out on Sundays so I can take some photo adventure before the PASS Summit starts. This year it’s flying into Portland renting a car and driving up to Seattle. I did this several years ago and it was great fun. I will not be taking anything that resembles a straight line to Seattle and I won’t be doing it quickly. I’ll be catching up with the other Photo Nuts most likely that evening for some good beer and food somewhere in Washington. I started attending the PASS Summit in Orlando in 2004. Basically I’ve been to a few and every one that I go to I have some key goals when I attend the Summit. Many are photo related but some are technical as well and all of them revolve around #sqlfamily. I wanted to share them with all of you so hopefully some of the people I run into will help me achieve the goals. Come out of my shell: I’ve said this for years and really I’m probably seen as much more of a social person than most but still to this day I have to push myself to talk to new people. I strongly urge everyone to meet someone new at any technical conference you attend. If you don’t that’s a huge loss to what you could have received from the conference. Meet people that are not working with SQL Server: Now why would I attend a SQL Server conference if I want to talk to people not working with SQL Server? SQL Server is still at the core of our architecture but we also integrate and work with other nosql and opensource projects. My goal is to learn what others are doing and how they are doing it. I hope to find others that have found ways to integrate with other technologies not just the MS stack. If you would like to see what I have done feel free to watch this presentation recorded at BMD/SLC SQL Saturday. Meet Organizers of events: I put on a lot of events (not just SQL Saturdays). I like to hear about the cool things others are doing so that I can find new and cool things for my events. I have at least 3 events planned in the next 6 months and would love to find out what others do. Catch up with #sqlfamily: I have unfortunately been very out of the loop for about the last 6 months. Both because of work but also because of events. I want to catch up with my good friends and find out what they have been working on and what they have been doing. Get “the” shot: At previous summit’s I would take anywhere from 700-1500 pictures throughout the week. I’ve learned a lot through the years and know when to hold my shutter button and when to pull the trigger. I will have 5-6 shots that I want/need at the event and my goal is to achieve those. If you see me (I’m a large person with a camera on his waist all week) feel free to check in with how I’ve done on the shots and which ones I have planned. 50mm all day! : I have a fun lightweight 50mm 1.8 lens that would be great for some of the shots I have planned. I’m going to try and choose a day and use that lens all day long. 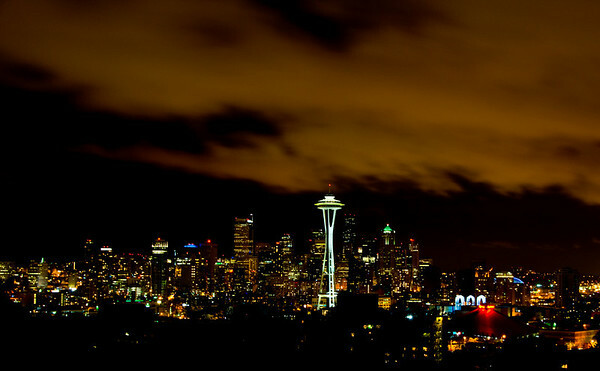 Night shots: I will have a car on Sunday night so this most likely means a Trip to Kerry park. While I’ve achieved the shot I have wanted from this location we all know things change and getting another copy of the beautiful Seattle skyline is never a bad idea. I hope that as you go through the summit and you see the big guy with the camera you take a minute to stop and say hi. Would love to chat with you about photography, Data projects or events you have planned. Super excited to see all of my #sqlfamily very soon!